Who is Plastikman? 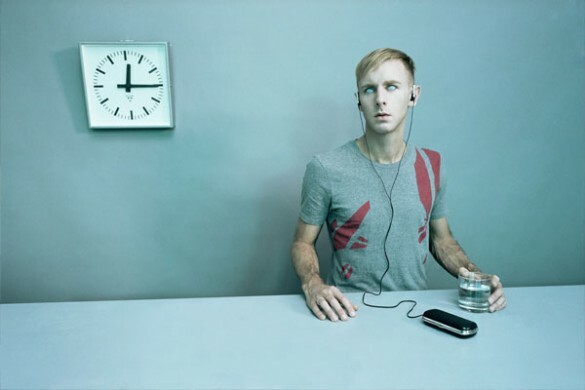 Plastikman is the main recording identity for Canadian DJ/VJ Richie Hawtin. I honestly have never heard of him but apparently you don’t need to, instead to need to see him, live. Check out the video after the break that showcases the visuals at his tour, they’re simply amazing, so much so that I definitely want to look out for him when he comes to NYC. Hawtin is known for DJing minimal techno sets making use of laptop computers and digital mixing equipment. In May 1990, Hawtin and fellow second-waver John Acquaviva founded the Plus 8 record label, which they named after their turntable’s pitch adjust function.In 1998, Hawtin launched Minus records, a label he uses primarily as a launch pad for his own projects. I’d like to thank you for that efforts you have produced in writing this write-up. I am hoping the exact same greatest perform from you in the future as well. In reality your inventive writing abilities has inspired me to start my own BlogEngine weblog now. Hello the data on this weblog is solely excellent it retains me coming back time and time once more ,personally i met my spouse using this site so i couldnt prefer it any additional i have finished my best to promote this web page as i really feel that individuals have to learn this thang ,cheers for all the trouble you take in making this fabulous web site ! Surprisingly! It’s like you read my mind! You seem to know so much about this, just like you wrote the book in it or something. I think that you could do with some pictures to drive the message home a bit, but other than that, this is informative blog. A wonderful read. I’ll certainly return again. I seen this web log a several weeks back nevertheless totally forgot to bookmark it – I will not make the similar mistake once again – it is going right inside my personal favourites. Thanks for the info. I am doing research for a possible term paper at PSU. This helped me narrow my selections. Great article! I was searching for something entirely different when I came across your blog. I really enjoyed the thought you put into this writting. i will bookmark to return later. Any prospect most people could get a breakdown by means of even if? If you are really interested take a look at this site. Free tattoo designs for men and women.